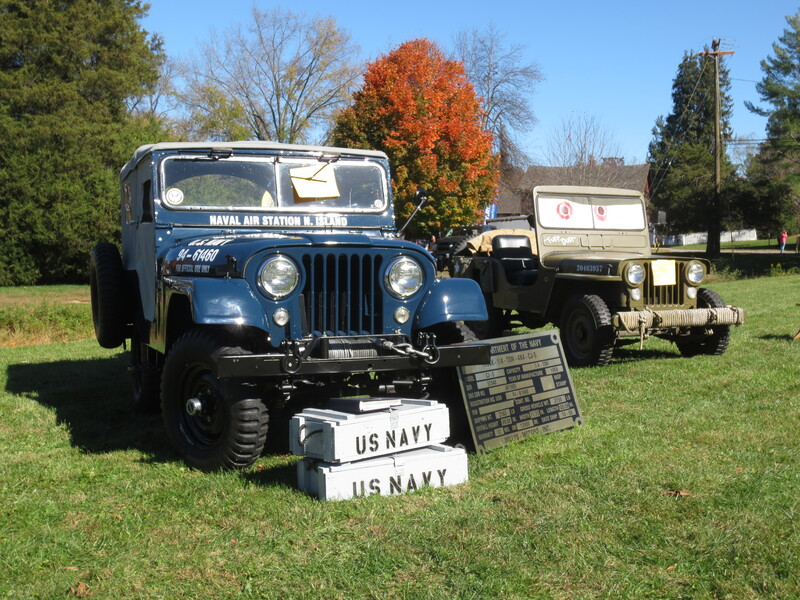 There was a great selection of trucks, wagons, and military vehicles at this year’s Mason Dixon Jeep gathering. 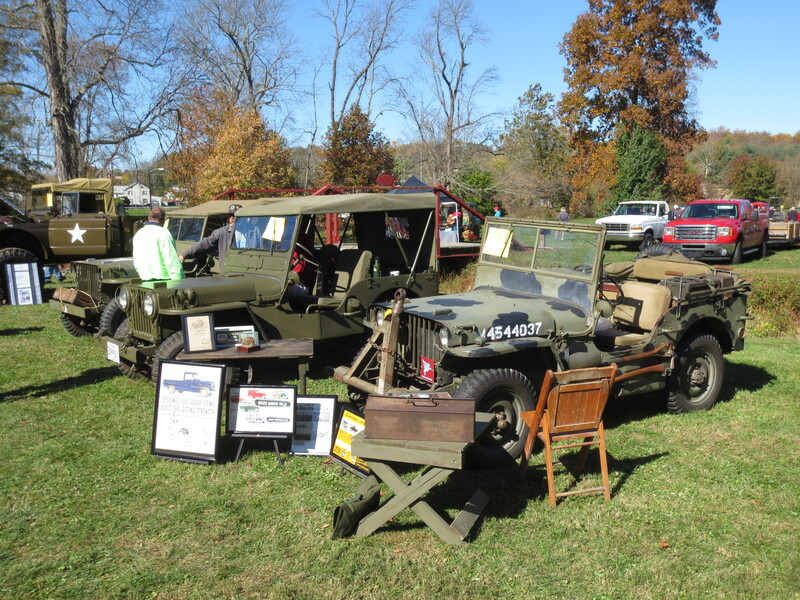 Kyle from East Coast Willys (and Rausch Creek) brought this FC and set up a fall display. I like the Bantam trailer along for the ride. Glenn Harrington took a trophy again with his 1962(?) 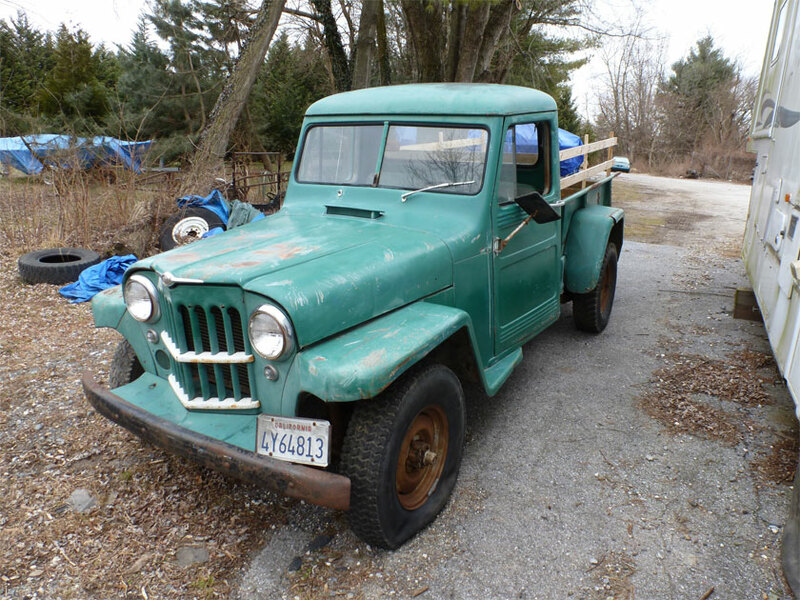 Willys pickup. Glenn will be hosting a show down his way in Petersburg, VA spring of 2014. 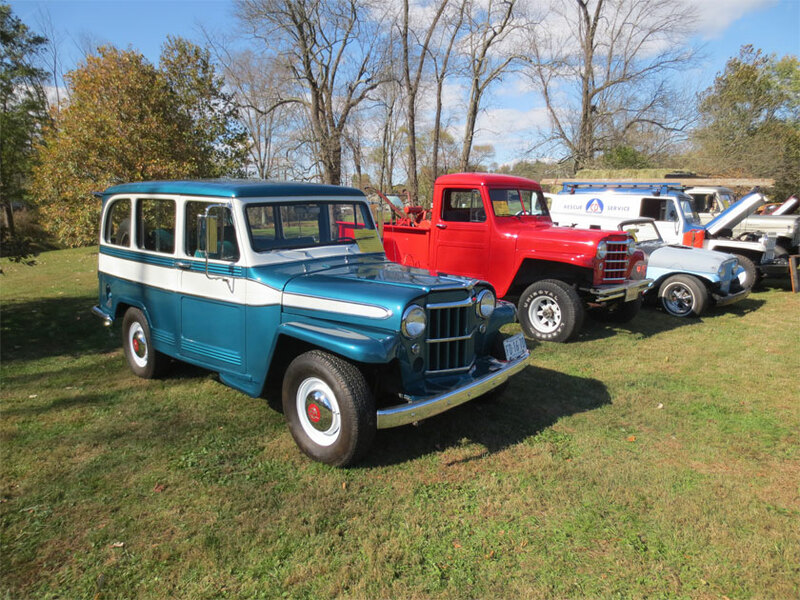 The lineup was headed by this immaculate Willys wagon. 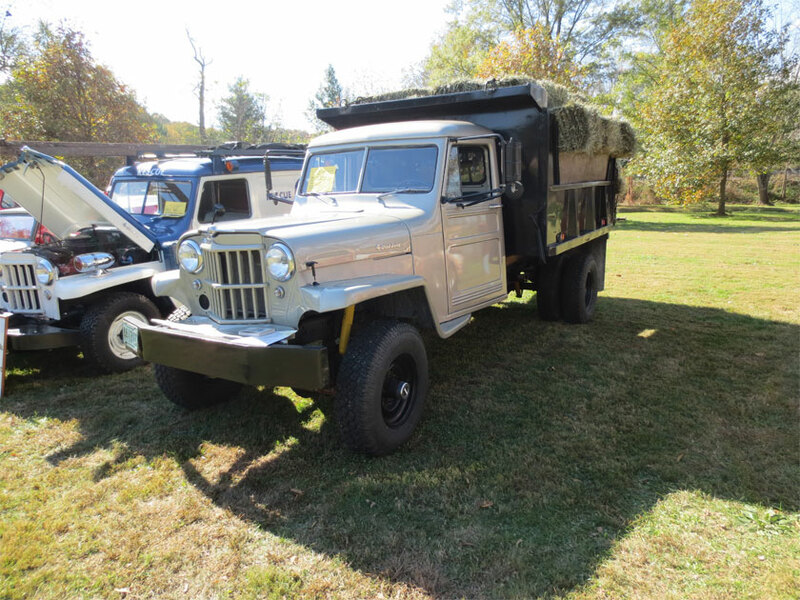 I was particularly fond of this custom dump truck built by Carl Wolfson of Baltimore. He used 21 donor vehicles in its construction. 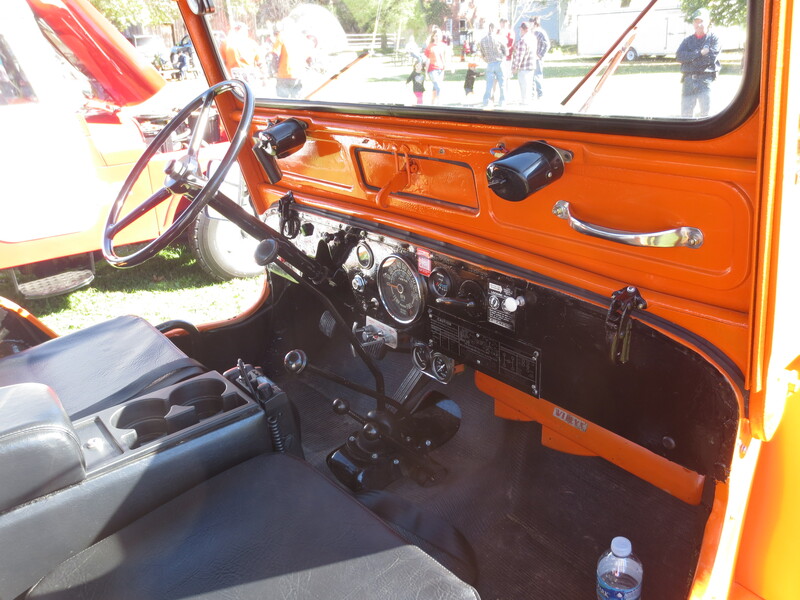 The truck combined the best aspects of Willys that he liked. When Carl rolled in I thought he had loaded it with hay for the show. It turned out Carl had not had a chance to unload it from the day before. I think the hay showed that the truck can really do the job it was built for. 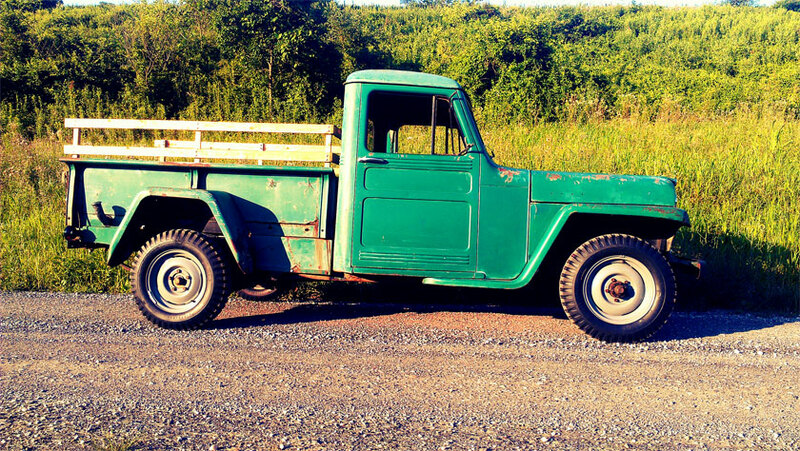 I believe many of us enjoy a vehicle with patina. 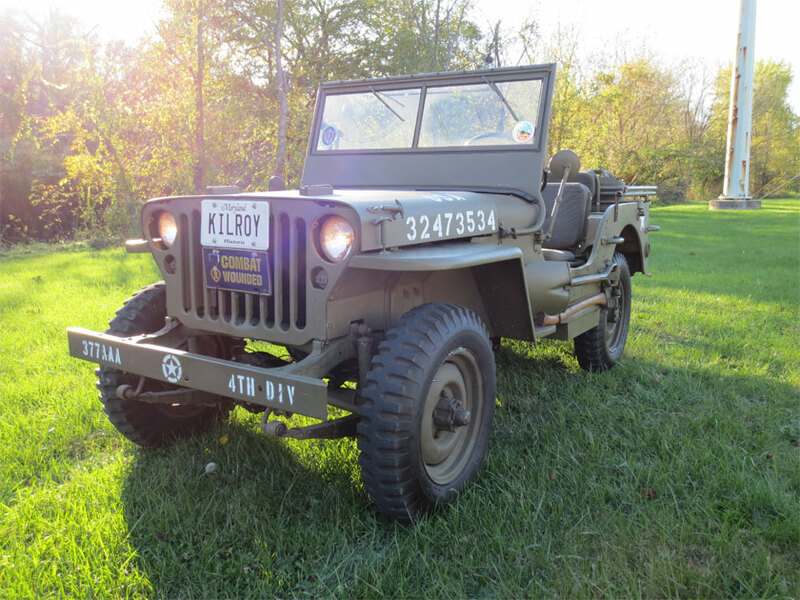 This 1940s Willys had a well loved and used look to it. And yes, it runs well having been driven to the show. 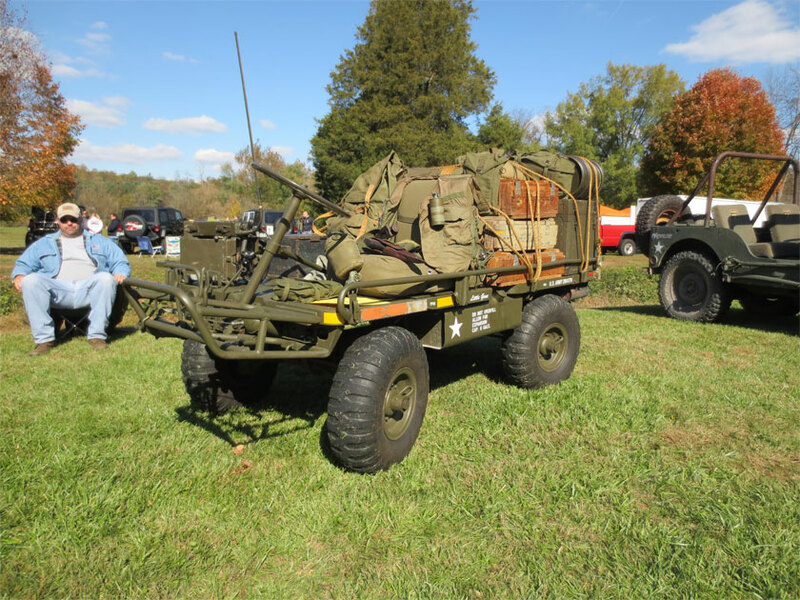 Of military vehicles there was quite a variety. 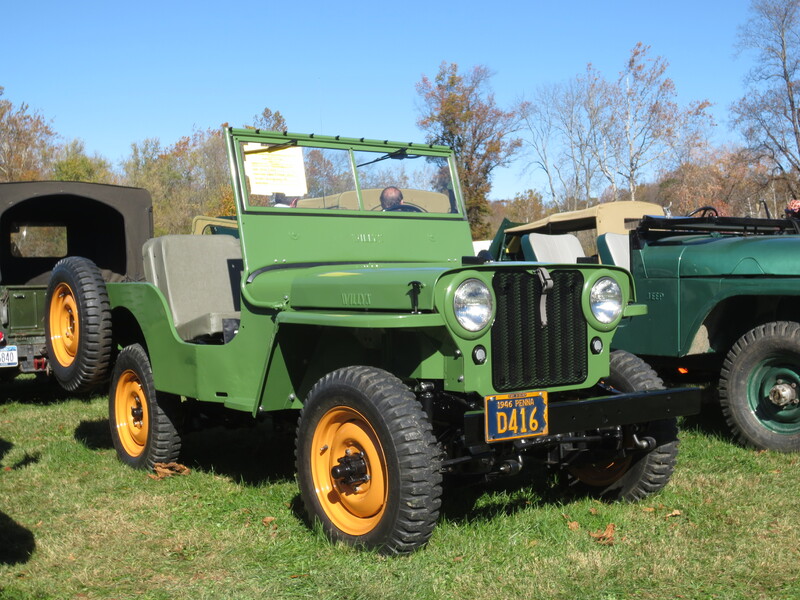 We even had a 1942 GMC Deuce and a half visit for a bit. 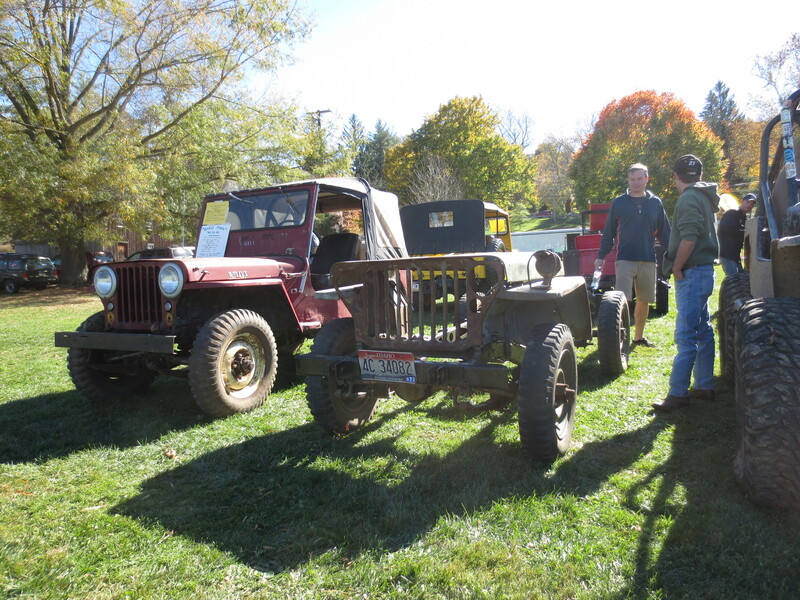 There were several WW2 Jeeps, below are a handful led by Bob Buker’s Jeep. 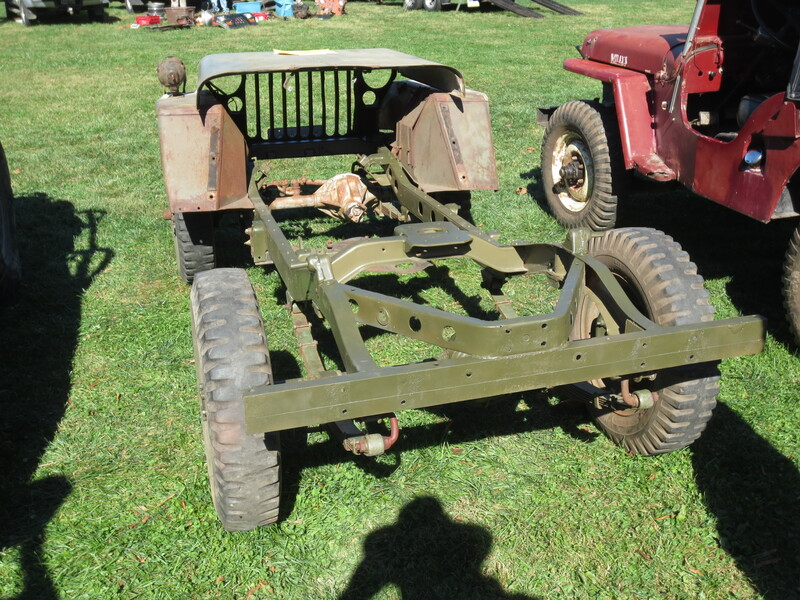 I was not sure what to make of this, a 1942 Ford script Jeep being rat rodded. 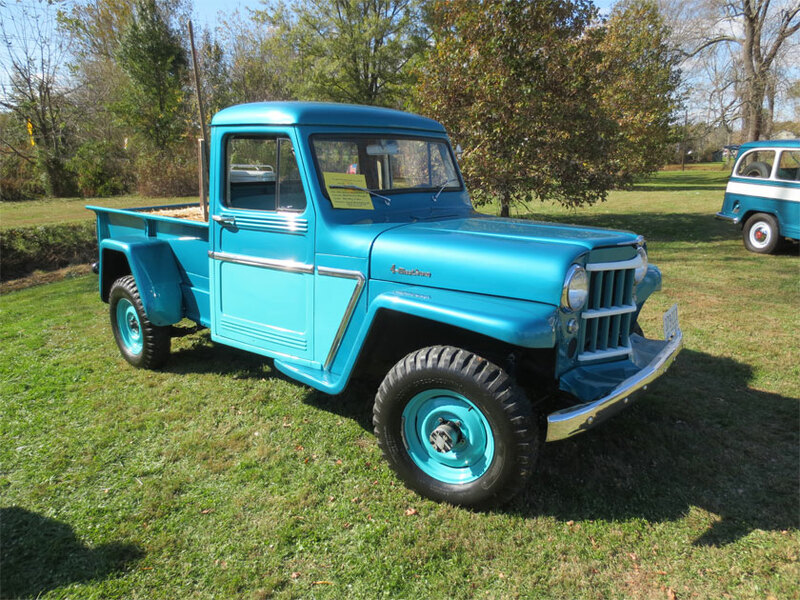 Looks cool with nice patina and ready for some fun in the mud. 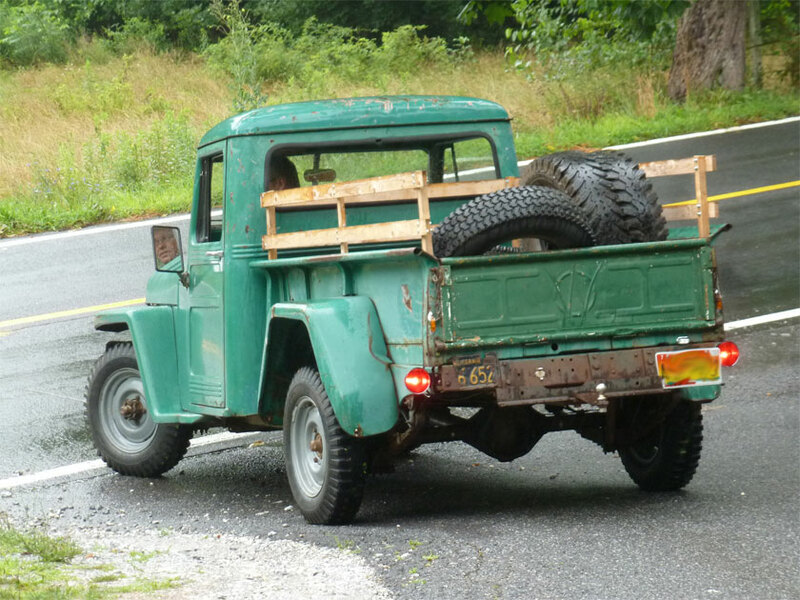 The tires appear vintage. 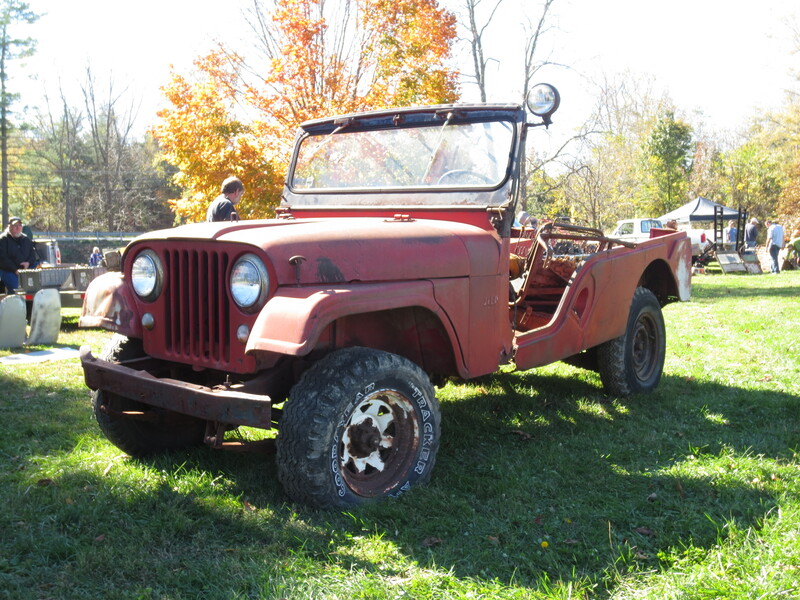 A surprise was this 1959 Willys M274 owned by Tim Kress of Hanover. 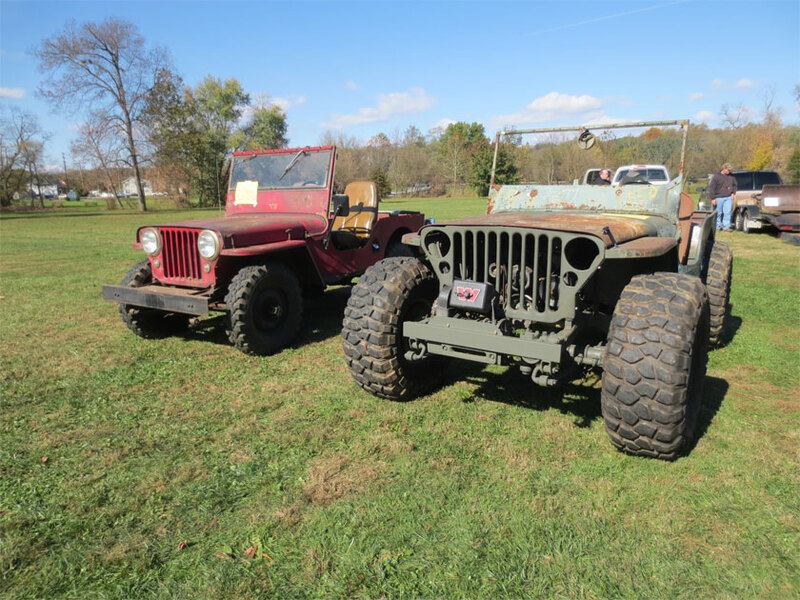 I did not know that Willys made any of these. Apparently he was working on a house in Finksburg, MD and the owner said that Tim needed to go next door and see what the neighbor had in her garage. 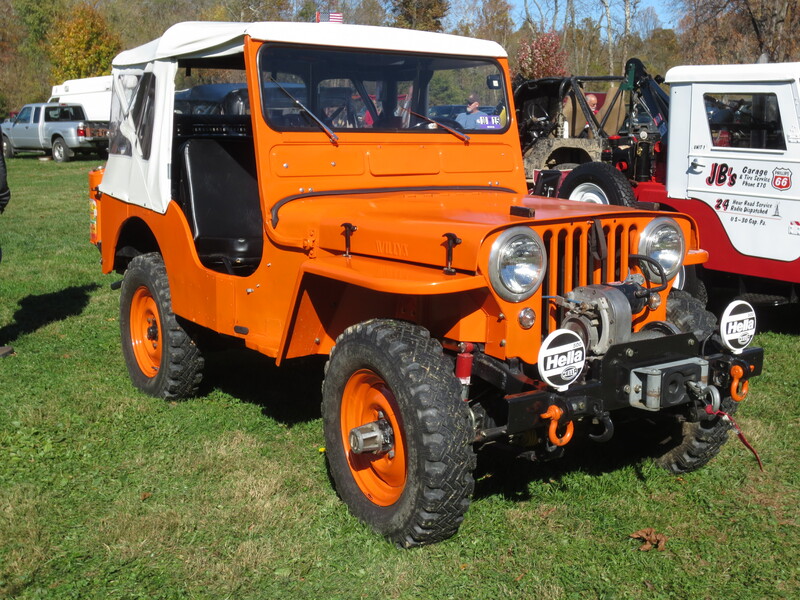 When he bought it the mule was bright orange. 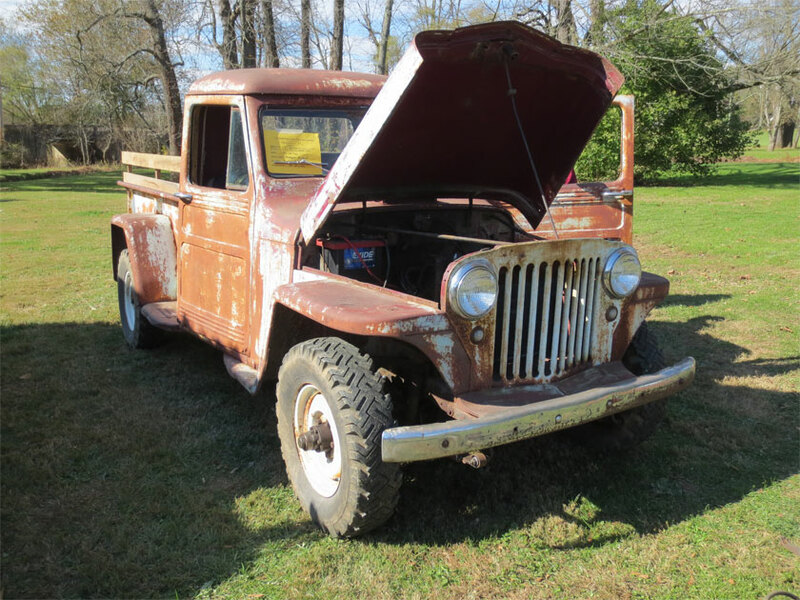 He says that he has about $3,000 in the restoration. Tim’s display was great with gear and a radio piled up. There was even a recording running of Vietnam radio dispatches. 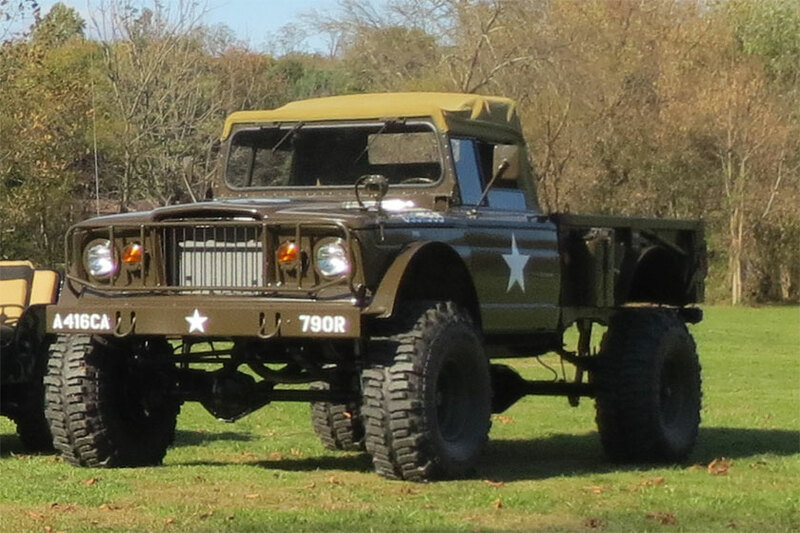 There was also this M715 tastefully upgraded for some heavy duty offroading. It won the military class. 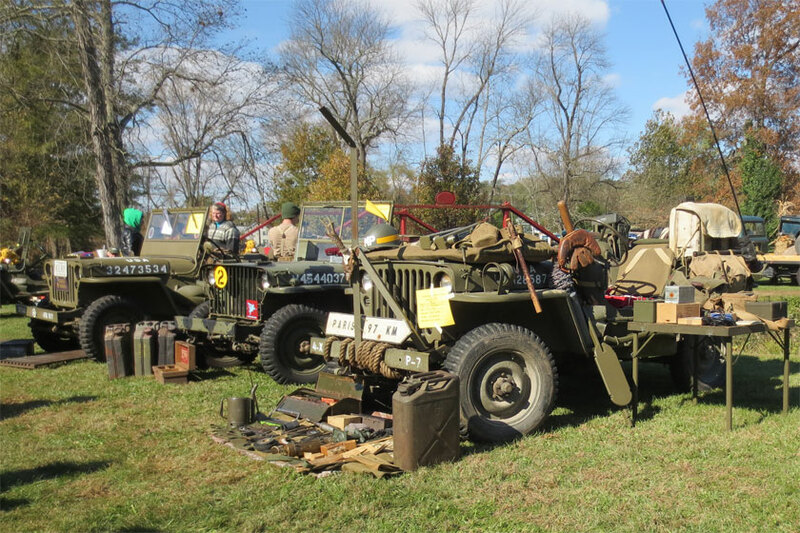 There were more military Willys, an M38 and an M38A1 plus more WW2 MB’s and GPW’s I will do better at taking photos of the military class next year. As always this was a fun and mellow show. 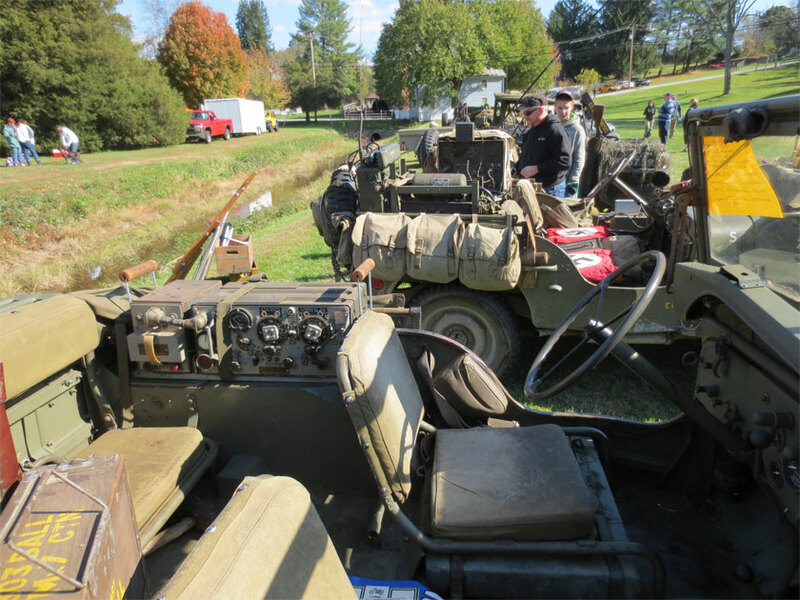 We took two Jeeps, my faithful and battered 1941 and Kilroy, a 1945 which we just finished assembling the day before and then drove to the show. 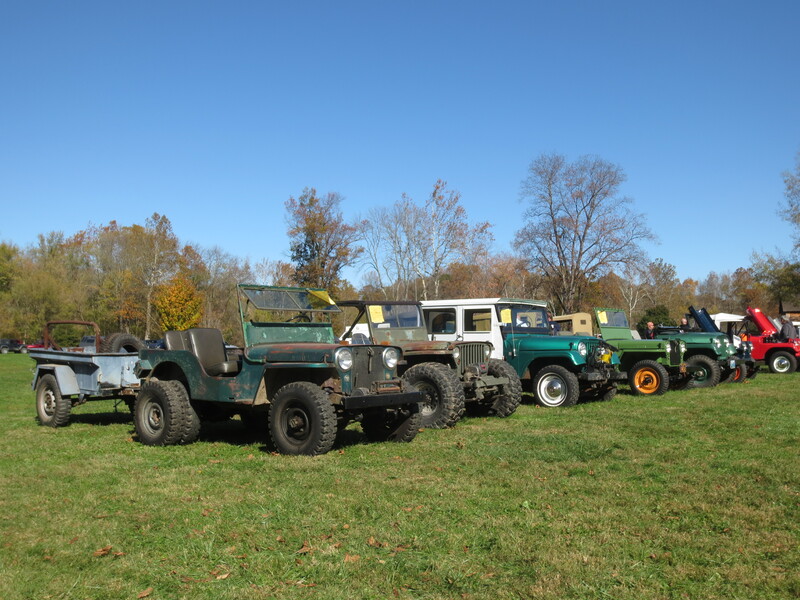 I had a wonderful time chatting with all my Jeep friends and meeting new ones as well. 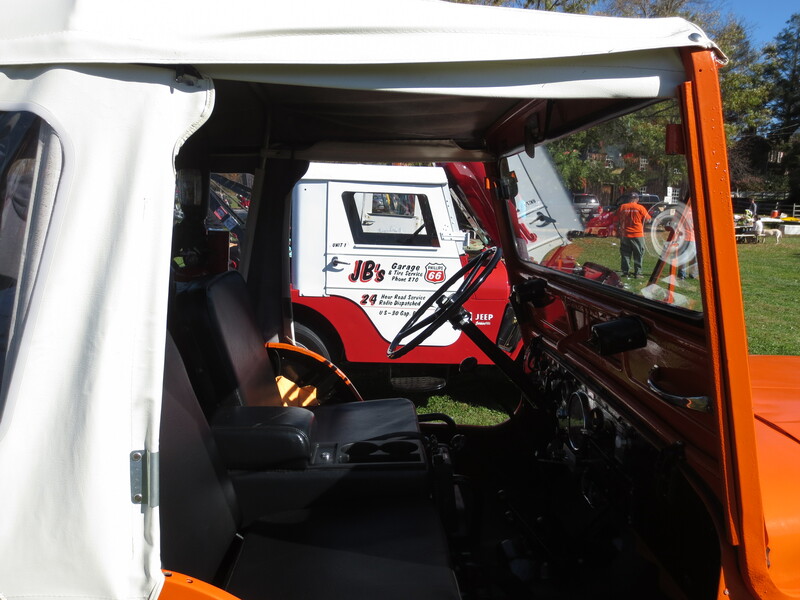 More soon, and remember to drive your Jeep!! 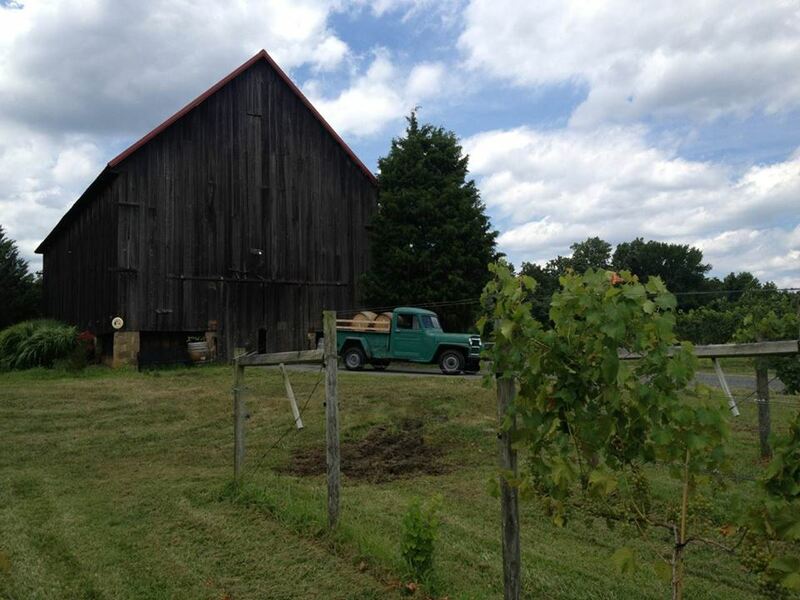 Back in February I was contacted by Nate of Great frogs Winery in Annapolis. 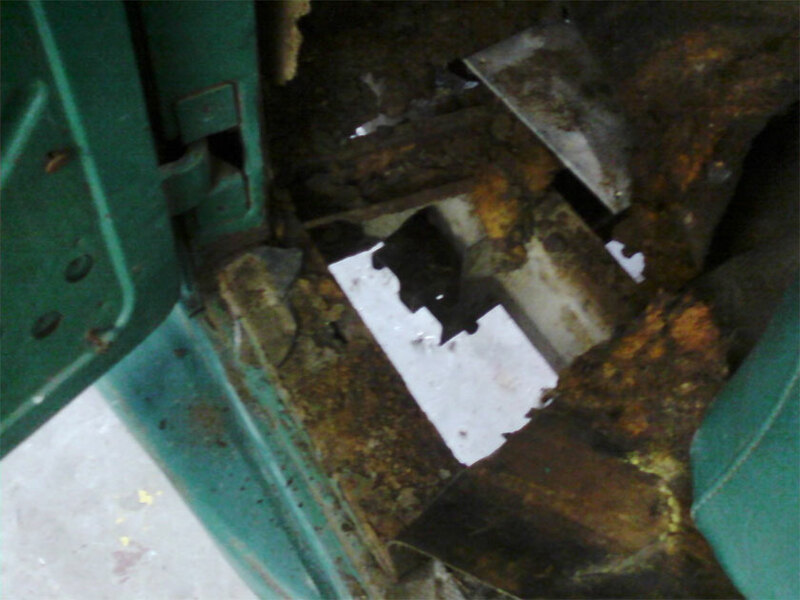 He asked if we could do a restoration on a truck. Within a day I was talking with John Still, our new mechanic, about coming on board so we could handle more projects like this. 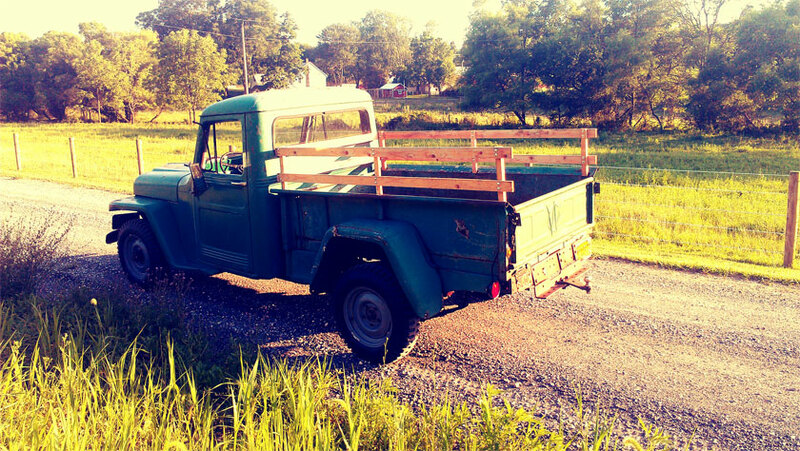 The goal of this job was to keep the rough, farm-used patina of the truck, but to make it reliable and driveable. Without seeing the truck (it was being shipped from California) I was unable to give an estimate and we awaited delivery to see what we were getting into. When it first arrived I had no idea what to make of it. The interior was a shambles, glass was missing or cracked, the drivers’ side floor was a massive hole, tires were low or flat, and the key had disappeared in shipping. The truck spent its life on an Avocado farm in California of all places. Happily this meant it was somewhat solid, and contained less bondo than rustbelt vehicles. When we set to doing a compression check (this shows the health of the engine) the compression was horrible and the starter burned out halfway though the check. 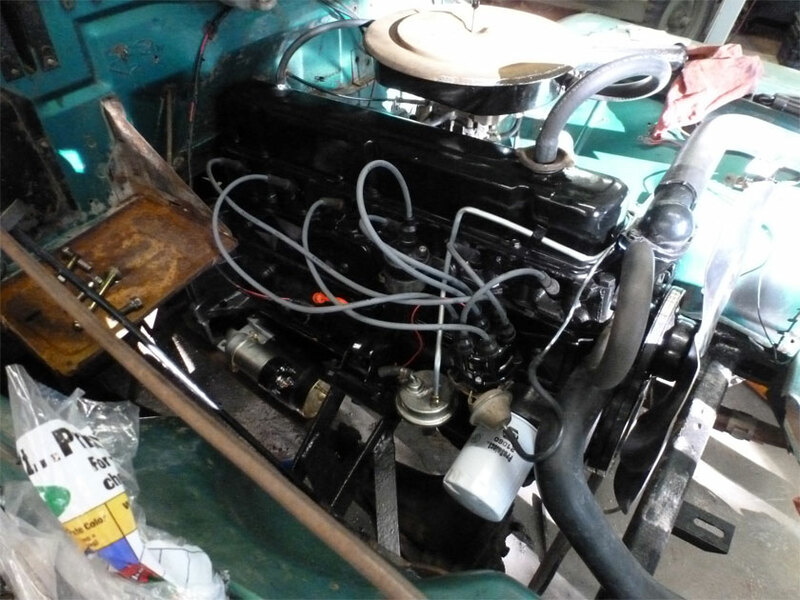 The engine was a replacement Chevy straight six and we managed to source a good one quickly. 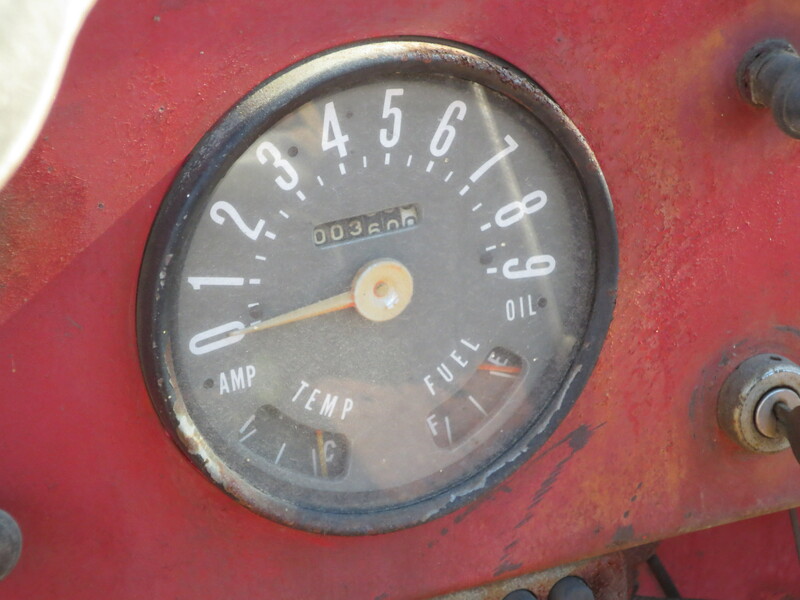 Soon we found that the radiator was bad as well, and numerous small issues popped up. 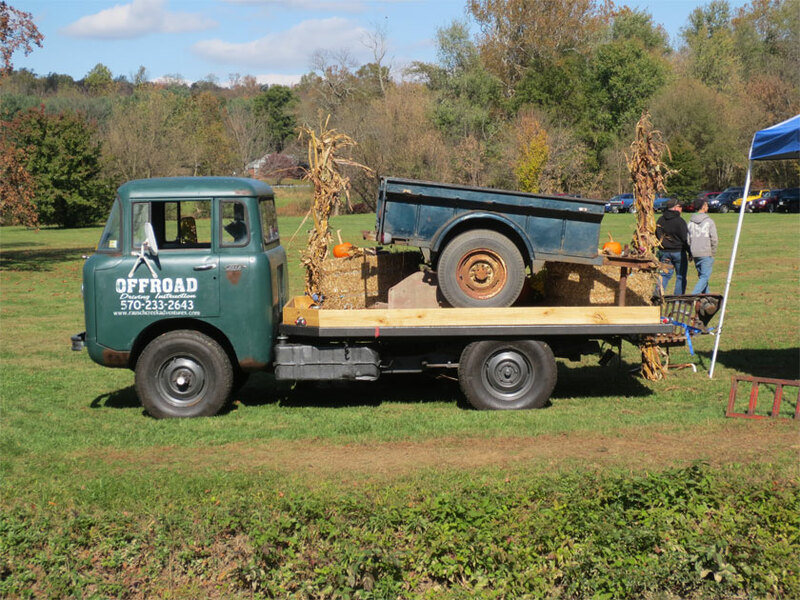 As we worked our way through brakes, a bent driveshaft, electrical issues and more we did not know we would fall totally in love with this truck. Then we found out that it had to pass Maryland inspection! 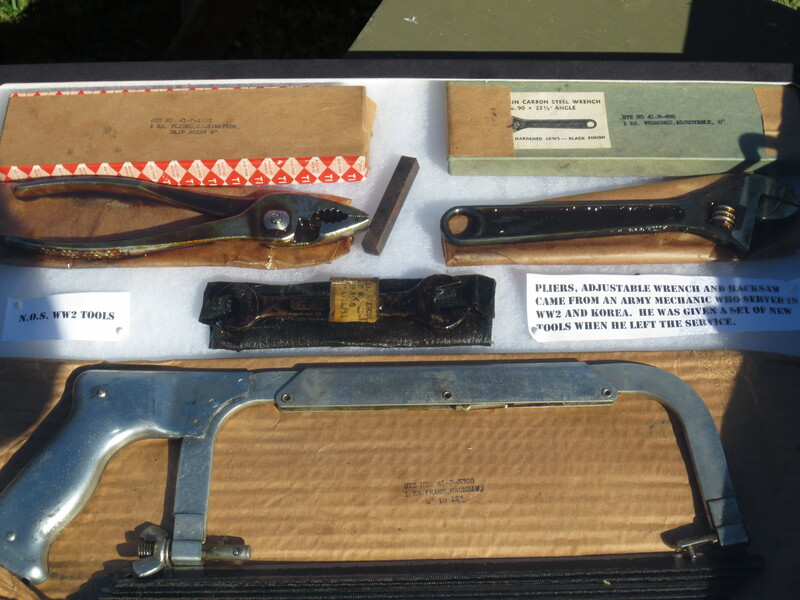 This involves the inspector taking apart, testing, prodding and poking most of the vehicle. Many hours went into getting it perfect for inspection. 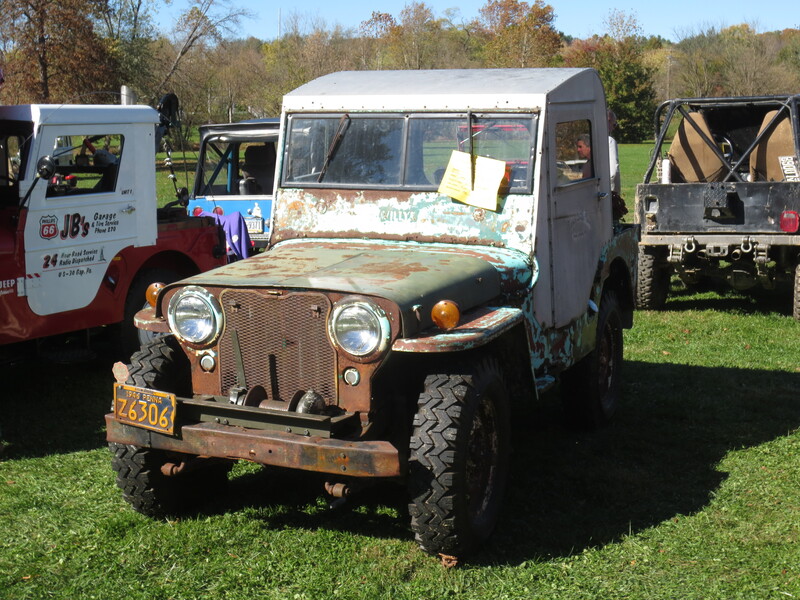 Despite the trucks battered appearance we managed to present a solid and reliable vehicle. Nate told us to drive the truck in during this time and so we did. Every one of us fell in love with the truck. Despite a lack of speed, its character, reliability, and ability to climb straight up a wall made us bond with it. My girlfriend and John’s wife both decided they wanted one. People in town were asking about what it was as they had never seen one. But as we fixed the final details for inspection we knew that the truck would eventually have to leave. 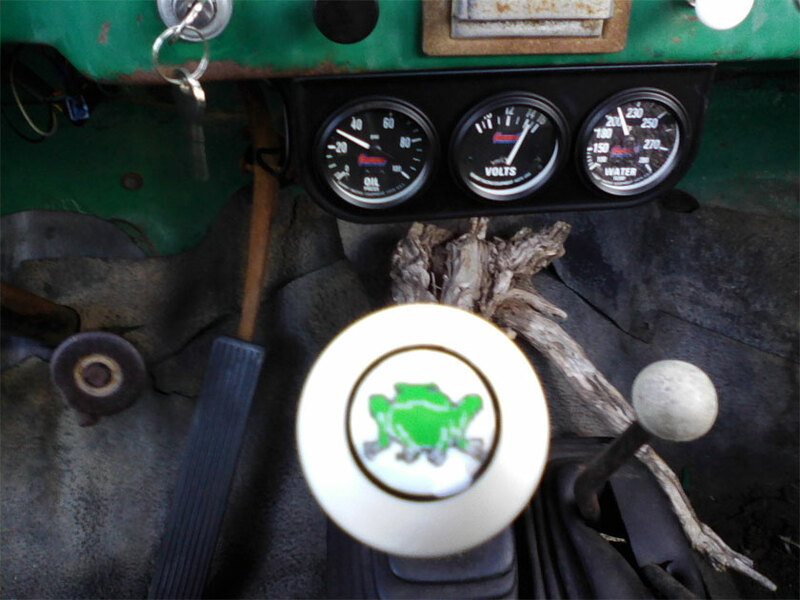 As a gift to the owners and the truck John added nice details like the Great Frogs logo on the stickshift. Eventually the day came where the wipers finally worked, exhaust leaks were sealed, rattles and squeaks tightened, inspection was passed and it was time for the truck to go. 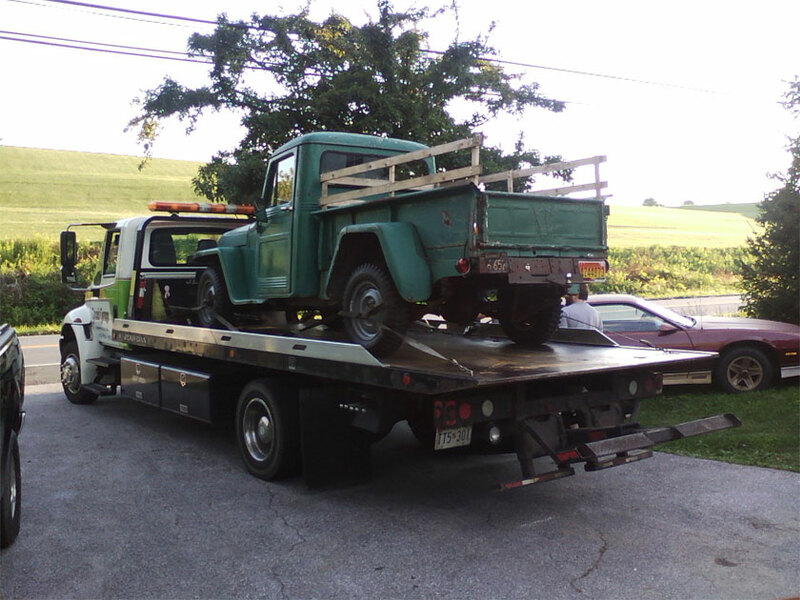 I felt like I was losing a favorite pet as they loaded the truck on the flatbed for its trip home. Nate said he began driving the truck at 5:30 in the morning after it arrived. He placed to wine barrels in the bed to advertise the vineyard at Farm markets. While I enjoyed driving it, I am much happier that the folks at the vineyard can finally enjoy their new mascot. 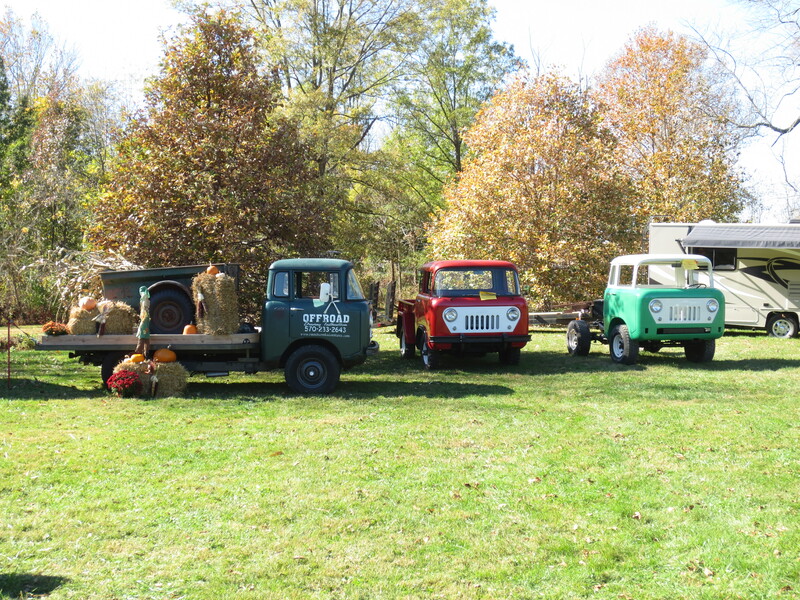 If you are in Annapolis keep an eye out for the Great Frogs truck, and be sure to try their wonderful wines as well. Dear truck we shall miss you.